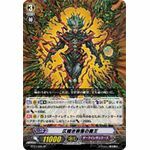 [AUTO](VC) Limit Break 4 (This ability is active if you have four or more damage):[Counter Blast (1)] During your end phase, when one of your <<Great Nature>> rear-guards is put into the drop zone, you may pay the cost. If you do, call that card to an open (RC). 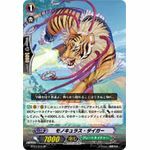 [AUTO](VC):When this unit attacks a vanguard, choose another of your <<Great Nature>> rear-guards, and you may have that unit get [Power]+4000 until end of turn. If you do, at the beginning of your end phase, retire that unit. [CONT](VC): If you have a card named "Law Official, Lox" in your soul, this unit gets [Power]+1000. 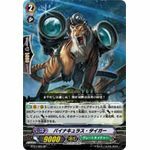 [ACT](VC):[Counter Blast (2) & Choose a card named "Guardian of Truth, Lox" from your hand, and discard it] Choose one of your <<Great Nature>> rear-guards, and that unit gets [Power]+4000/[Critical]+1 until end of turn, and at the beginning of your end phase, retire that unit. 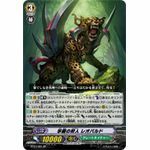 [AUTO](VC/RC): When this unit attacks a vanguard, choose another of your <<Great Nature>> rear-guards, and you may have that unit get [Power]+4000 until end of turn. If you do, at the beginning of your end phase, retire that unit. [ACT](VC) Limit Break 4 (This ability is active if you have four or more damage):[Counter Blast (3)] Choose up to one grade 0, grade 1, grade 2, and grade 3 <<Pale Moon>> from your soul, and call them to separate (RC). 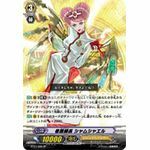 [AUTO](VC):When one of your <<Pale Moon>> is placed on (RC) from your soul, this unit gets [Power]+3000 until end of turn. 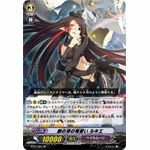 [ACT](VC) Limit Break 4 (This ability is active if you have four or more damage):[Counter Blast (2)] Soul Charge (2), and this unit gets [Power]+1000 for each <<Dark Irregulars>> in your soul until end of turn. 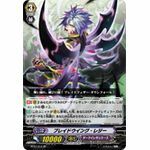 [CONT](VC/RC):If you have a non-<<Dark Irregulars>> vanguard or rear-guard, this unit gets [Power]-2000. [AUTO]:[Choose a card from your hand, and discard it] When this unit is placed on (RC), if you have an <<Oracle Think Tank>> vanguard, and you do not have any cards in your soul, you may pay the cost. If you do, draw a card. 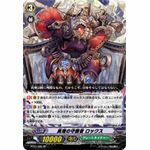 [AUTO](VC) Limit Break 4 (This ability is active if you have four or more damage):[Choose two of your <<Gold Paladin>> rear-guards, and put them on the bottom of your deck in any order] When this unit attacks, you may pay the cost. 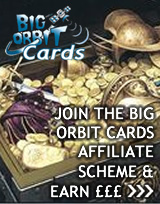 If you do, choose up to two of your <<Gold Paladin>>, and those units get [Power]+5000 until end of turn. 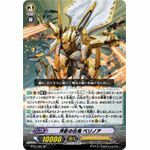 [AUTO]:[Choose a <<Gold Paladin>> from your hand, and discard it] When this unit is placed on (RC) from your deck, if your opponent has a grade 2 or greater vanguard, you may pay the cost. If you do, put this unit on your (VC). 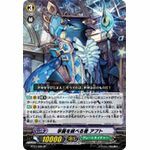 [AUTO](VC) Limit Break 4 (This ability is active if you have four or more damage):[Choose an <<Angel Feather>> from your hand, and put it into your damage zone] When this unit attacks a vanguard, you may pay the cost. 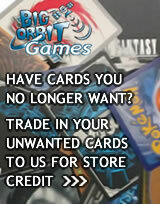 If you do, choose a card from your damage zone, and put it into your hand. 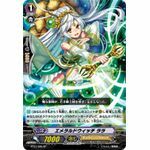 [AUTO](VC):When a card is put into your damage zone, this unit gets [Power]+2000 until end of turn. [AUTO](VC) Limit Break 4 (This ability is active if you have four or more damage):When this unit attacks a vanguard, this unit gets Power +5000 until end of that battle. [AUTO](VC): [Choose one of your <<Great Nature>> rear-guards, and retire it] When this unit's attack hits a vanguard, you may pay the cost. If you do, choose up to one <<Great Nature>> from your hand, and call it to (RC). [AUTO](VC):[Choose one of your grade 3 or greater <<Pale Moon>> rear-guards, and put it into your soul] When this unit's drive check reveals a grade 3 <<Pale Moon>>, you may pay the cost. If you do, choose a <<Pale Moon>> from your soul, and call it to an open (RC). [AUTO](VC):When this unit is boosted by a <<Pale Moon>>, this unit gets [Power]+3000 until end of that battle. [CONT](VC):If the number of <<Dark Irregulars>> in your soul is fifteen or more, this unit gets [Critical]+2. 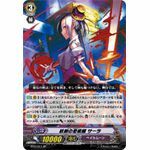 [AUTO]:When this unit is placed on (VC), choose one of your <<Dark Irregulars>> rear-guards, search your deck for up to three cards with the same name as that card, put them into your soul, and shuffle your deck.